Back to the Future Part 2 provided a glimpse of a future that included hover boards and holographic advertisements. But you don’t have to wait until 2015 to get your hands on at least some of the technology. [Blake Bevin] has produced a pair of shoes with power laces as seen in the film. Of course present day technology doesn’t allow him to make the mechanical parts disappear so you’ll have to deal with two servo motors and an Arduino hanging off of your heels. But hey, at least you won’t have to tie your own shoes like some 20th century peasant. No word on using these for a little theme music as you walk around but maybe that’s something from the more distant future. 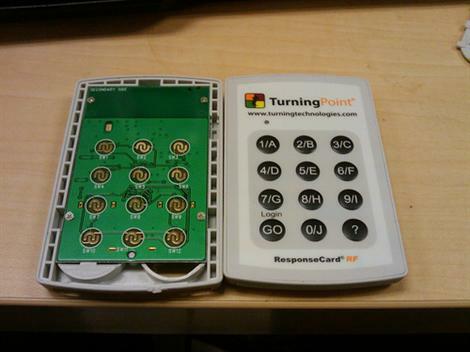 [Travis Goodspeed] has pulled apart a TurningPoint response card, which is an RF device for answering quizzes, attendance checks, and casting votes in a classroom setting. 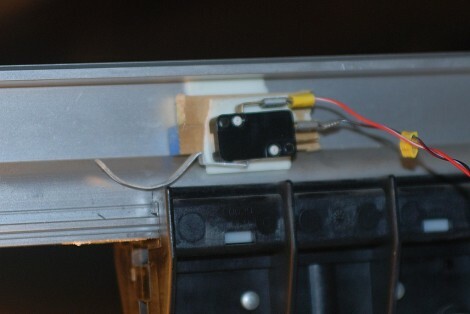 After tearing it apart, he set out to reverse engineer it and managed to get quite a lot done. At this point he can spoof cards, so he could fake his or several people’s attendance. He can also sniff the packets as they are sent, opening up a plethora of opportunities to mischief. The one that was mentioned in the tip line was to simply repeat the answer that was most often sent for the quizzes. The writeup is very detailed and has great pictures. Good job [Travis]. [HP Friedrichs] wrote in to tell us about an upcoming book titled Marvelous Magnetic Machines. Ordinarily, we skip over promotional hype. After watching his promo video though, we couldn’t help but share. We want a copy of this book. In this book you’ll find details on how to build a number of different motors from scrap. You can see several variations in the promo video. He also notes that the music was created by himself and some friends a few years ago. If [H.P. Friedrichs] sounds familiar, it is because he’s been sending us fantastic projects since at least 2006.